A 22-YEAR-OLD man has become the 170th person to die on Irish roads this year. The young man died when the car he was travelling in hit a tree on the R130 in the Baldwinstown/Garristown area of Dublin. The incident occurred at about 9.35pm last night. The passenger was pronounced dead at the scene and his body removed to James Connolly Memorial Hospital. A full post-mortem is due to take place today. An appeal for witnesses has been made and anyone with information is asked to contact gardaí at the Balbriggan station on 01 802 0510. This time last year, 149 people had lost their lives on Irish roads. The corresponding figure for 2013 is now 170 and includes 28 pedestrians, 28 passengers, five cyclists, 24 motorcyclists and 85 drivers. 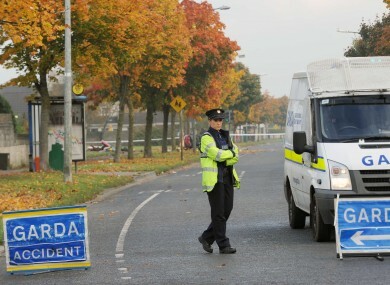 Email “Young man killed in Dublin road crash”. Feedback on “Young man killed in Dublin road crash”.